The fabulous Oh Brother! 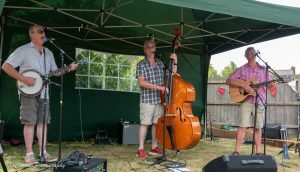 are a trio of three brothers (including Cottingham’s very own George West-Robinson) playing an eclectic range of music from upbeat bluegrass and melodic ballads to 1930s vaudeville and folk, along with some original numbers. 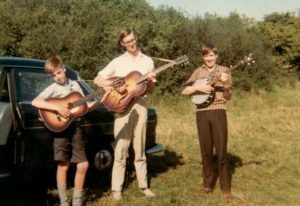 The West-Robinsons, who are accomplished instrumentalists on guitars, banjo, ukulele-banjo, double bass, harmonicas and mandolin, have been playing together since childhood. As you can see from these pics, the attire may not have moved on much, but you’ll be blown away by their close harmony sibling vocals! Nibbles will be provided and there is a pay bar. Doors open at 7m for an 7.30pm start. Tickets are £7 each from Irene on 01536 770059 or Audrey on 01536 771084.